What to pack for a long trip in New Zealand. 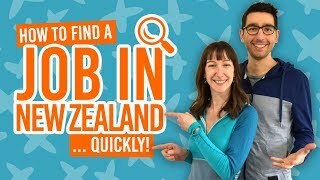 Backpacking in New Zealand, doing a gap year or a working holiday? Then this is the ultimate packing list for you! Doing an extended trip in New Zealand is super exciting but the packing process for such a long time is daunting. You don’t want to get this wrong! However, we are here to ease the stress with this ultimate packing list for an Extended Trip in New Zealand. From packing the carry-on luggage to deciding which clothes to take, this packing list for New Zealand will help you only pack the essentials and keep your luggage light. Although packing is personal to everyone, we try our best to make you aware of the essentials that you will really need for New Zealand. And remember, there are a few things that are not necessary to pack, so find those in 10 Things Not to Pack for New Zealand. Making the ultimate packing list for an extended trip in New Zealand means picking the right luggage to pack your stuff in! Your backpack or suitcase will be your companion for your entire trip, so you need to be comfortable with carrying it around the country. While most backpackers choose backpacks because they are more versatile for transporting to more locations, others find it easier to use a wheel suitcase if they are planning on using convenient transport methods to get between the main towns and cities. For more pros and cons to these choices of luggage, check out Backpack Vs Suitcase: Which Should You Take to New Zealand. When choosing a backpack, make sure it is the correct size for you. There’s nothing worse than carrying a heavy backpack that doesn’t sit correctly on your back. See our tips in How to Choose a Good Backpack. First things first, your carry-on bag has the most important packing list, as this is going to be your companion for going onto the plane to New Zealand. Your most valuable items will be packed in here, as well as important paperwork for getting into New Zealand. Make sure you not only choose a carry-on bag which is within the weight and size restrictions of your chosen airline, but you choose a carry-on which you can also use as a day pack for everyday use in New Zealand. We go into more details of airline restrictions and an in-depth packing list in What to Pack in Your Carry-On for New Zealand. Whether it’s the flight to and from New Zealand, a long drive or bus ride, you will want some comfortable clothing. Try sweat pants, leggings, shorts, t-shirts, hoodies or sneakers/jandals. You can also use these items to sleep in (although no one will judge you if you want to bring your favourite whale pajamas. Pack a “smart-casual” outfit for exploring cities, going to job interviews or doing jobs that may require you to dress smartly but don’t provide uniform, and for going on nights out. New Zealand has a very casual attitude toward the dress code for bars and clubs, so there’s no need to pack your shiniest loafers or highest heels. Enough for seven days should do it. 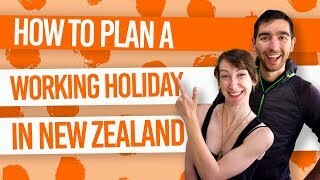 For more information on what clothes to pack, check out What Clothes to Pack to Travel in New Zealand and get an idea of the seasons and temperatures in The New Zealand Seasons and Climate. This is personal to everyone, but there are a few medical items you might want to consider packing for New Zealand. You can bring up to three months of prescribed medication into New Zealand. More than that and you will need to get a letter from your doctor written in English to show at the Immigration desk. If you need more prescribed medication while in New Zealand, then don’t worry. It’s extremely affordable. Follow our advice in How to Get a Medical Prescription in New Zealand. It’s a good idea to make a mini first aid kit for yourself just in case you get a small injury or sickness while on the road. Packing a few pain relief medicine, antiseptic cream, antihistamine tablets and anti-diarrhoea is a good place to start. For a more in-depth list, check out Health Tips For Travelling in New Zealand. There’s no need to stock up on these items, as you can get them all in New Zealand. Pack any bottles in a plastic bag in case they explode in your bag. Now for all those little things that are essential for an extended trip in New Zealand. For more details on these items, check out 15 Essentials to Pack for New Zealand. If you plan on camping a lot, pack a light-weight tent, 4-season sleeping bag, torch/flashlight and sleeping mat.